On Tuesday, the state run power company National Hydroelectric Power Corporation (NHPC) revealed its' plan to rise up to Rs 6,048 crore through sales of 168 crore shares. The price band of IPO has been fixed at Rs 30-36. The company said in its filing with the Registrar of Companies (ROC) that the public issue will open on August 7 and will close on August 11. This IPO will result to a five per cent Government divestment in the PSU and a fresh issuance of 10 per cent. 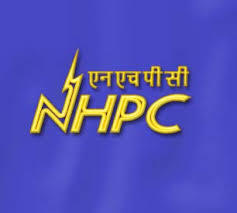 The NHPC IPO will be the first PSU issue after Rural Electrification Corporation came out with its Rs 1,639 crore issue in February last year. One third of the earnings will go to the Government's National Infrastructure Fund and the company will use the remaining funds.